The Four Agreements Companion Book (eBook) - Amber-Allen Publishing, Inc. 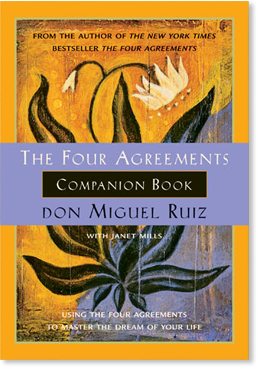 The Four Agreements by don Miguel Ruiz introduced a simple, but powerful code of conduct for attaining personal freedom and true happiness. The Four Agreements Companion Book takes you even further along the journey to recover the awareness and wisdom of your authentic self. The companion book is a must-read not only for those who enjoyed don Miguel’s first book, but for anyone who is ready to leave suffering behind, and to master the art of living in our natural state: happiness.